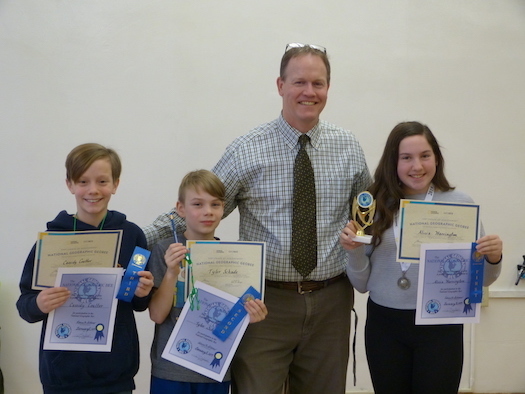 Congratulations to the 2019 Geography Bee Winners! The National Geographic Society Geography Bee took place Tuesday, January 8, 2019. The top 10 finalists from the 4th, 5th and 6th grade classroom competitions took turns answering questions about a wide range of topics, from U.S. geography and world geography to cultural and current events.